The question of why some everyday brawls take on the aspect of ethnic conflicts in Russia is much more vital. Thus, a conflict between people of the same nationality is an everyday brawl, but a clash between people of different nationalities is an ethnic conflict. Where does this conclusion come from? Violence and cruelty cannot be justified no matter their origin. We never encountered this problem before, not even during the Chechen wars. What has changed since then? Many events that we describe as ethnic conflicts are not actually that at all. In fact, they are domestic conflicts or everyday brawls posing as ethnic conflicts, and there is no evidence of insoluble contradictions, clash of interests or irreconcilable antagonism in them. For example, combat sambo world champion Rasul Mirzaev killed a man not in an ethnic conflict but in an ordinary brawl, and the same goes for the incident at the Yevropeisky shopping center in central Moscow. I also believe that paratrooper Ruslan Marzhanov was murdered not in an ethnic conflict but in a criminal conflict in the town of Pugachyov. There are reasons for seeing some ordinary brawls as ethnic conflicts. The common element of all of the above mentioned incidents is that they involved people from the Caucasus, or more specifically Chechens, and worse still, Chechens were the guilty party. There have been similar incidents with people from Dagestan, my home republic, and the number of such incidents has been growing so fast that Chechen leader Ramzan Kadyrov and his Dagestani counterpart Ramazan Abdulatipov recommended that their compatriots behave properly when traveling outside their republics. 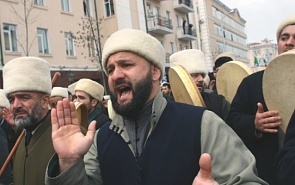 Public organizations in Chechnya and Dagestan have tried to revive the code of honor of the mountain people and have urged their landsmen to comply with it. Personally, I am skeptical about these attempts as I see them as a step back into the past when people lived according to custom rather than law. Russian society has accumulated a critical mass of negative examples involving people from the Caucasus over the past two decades, and we are now seeing the evolution of a very complex and highly negative social trend. This trend is based on behavior stereotypes and also on stereotypical interpretations of such behavior, and on major differences in understanding the same values, the same priorities, what is and is not permissible, archetypes of behavior and mentality. But I maintain that these differences are not rooted in ethnic origins, as people tend to believe, but in the level of cultural adaptation, or rather the adaptation of mountain cultures from outlying regions of the Caucasus to the dominant Russian culture. Peoples of Russia have been communicating with each other for centuries. This unique experience is our greatest asset and the foundation of our state. The North Caucasus joined Russia much later than many other regions. Its incorporation was only completed in the second half of the 19th century, after the Caucasus War. In other words, the Russian Caucasus is the latest ethnic addition to the family of Russian peoples. Therefore, I see the current negative incidents above all as elements of a painful process of cultural adaptation of the Caucasus people. It is a pity that this adaptation is accompanied by conflicts, but this is probably the downside of objective sociopolitical processes underway at the current stage of ethnic interaction in the Russian Federation. We could try to constrain this process, but that would only make it last longer. We need to develop adequate legal and other measures and to act clearly and resolutely, rather than letting the events take their course. When people resort to mob law, it is evidence of government inaction. The only thing that is worse than a vacuum of power is its consequences – chaos and anarchy, which signify the death of a state. The authorities must do their utmost in this sphere, although it is not as though they've been sitting on their hands. Education and proper upbringing are the foundation for the development of culture and for actions and measures that must be taken to smooth over real ethnic differences. Investment in these spheres (including through the system of education) is the safest path possible, and it is never late to take it. There have been positive achievements in interfaith and intrafaith dialogue, but the situation is not entirely unequivocal. Islamic radicals are fighting ethnic antagonism but they use questionable methods. While eliminating ethnic differences among Muslims, Salafis are fanning ethnic and religious animosity towards non-Muslims. This will never stop if Russian Muslims continue to look up at the Middle East instead of at their coreligionists who live in secular European and North American countries. Who said that a Muslim is necessarily a bad citizen? The sociopolitical reality has changed in Russia. In the past, its peoples interacted with each other, though mostly with their neighbors, along the boundaries of their settlement areas, but the format of ethnic communication changed dramatically after the dissolution of the Soviet Union. Ethnic communication broke out of the narrow geographic boundaries and even went beyond the limits of ethnic communities. Some experts describe the mass resettlement of people in the modern period of globalization as the Great Transmigration of Peoples. The newcomers mostly act as they will, disregarding the opinion of their elders. Moreover, they seem to think that they no longer have to respect their cultural constraints in the new conditions, and so sometimes act at their own risk. They think that they have nothing to lose. Of course, it is typically only those who have not been fully ingrained with their own cultural and ethnic values who act in this manner. But their poor behavior and actions encourage society to believe that this is how all people from a given ethnic group behave. Moreover, these individuals’ compatriots become the hostage of their behavior, even though the principle of collective responsibility has long faded and is inapplicable in modern society. This is not North Korea, which has revived the principle of guilt by association to punish whole families. As for creating a ministry for ethnic affairs, I’d like to point out that we tend to emulate Western legislation and Western political institutions. There are no ministries for ethnic affairs in the West. Moreover, people in Western countries are not divided into ethnic groups but are all equal citizens or nationals of their country. But Russia is not the West, and it cannot disregard ethnic differences, which have always existed and are unlikely to disappear any time soon. Most Western countries are monoethnic states with a long history of social evolution, whereas Russia has a different history and different realities. We all know the recipes, but no single measure will resolve the problem. What we need is a complex of measures, because this is a complex problem. I will limit myself to the legal sphere, which I consider to be the most important. We must not request people to strictly comply with law, but instead ensure the fair administration of justice based on common sense for everyone. People must be equal before the law and no one should be able to evade responsibility, as now happens so often. Punishment must be inevitable but it must also be commensurate with the crime. Prosecution alone will not resolve the problem either. We need to make many spheres, including law enforcement, more civilized. We must work to prevent crimes and offenses, conducting explanatory work in schools and universities, because respect for the law begins with details, and at an early stage. We must improve people’s legal culture because we will not build a state ruled by law otherwise. We must above all fight corruption in the institutions that embody law, that is, the law-enforcement and judicial system. The protest rallies in Manezhnaya Square and the events in Kondopoga and Pugachyov amount to public responses to unacceptable police action regarding serious crimes. We also need to do many other things in the area of nation building. It is extremely important to show people that they have common tasks and goals and to consolidate society around nationwide ideas. After all, Russia is our only country and our only homeland, and everyone must serve it honestly, irrespective of their ethnicity and faith. This is our solemn duty, our highest honor and our greatest responsibility.